We love seeing a bond between a grandparent and their grandchild – there’s no sweeter human bond. But there’s one video we’ve found that really takes the cake. It involves a Scottish grandmother and her hilarious laughter as she reads her grandson ‘The Wonky Donkey’ picture book. After this video went viral, parents and grandparents all over the country have been flocking to get their hands on a copy of the book which left publishers scrambling to meet the demands. 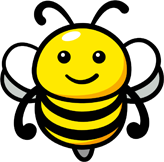 Craig Smith from New Zealand is the author of the children’s book which is based off his song by the same name. 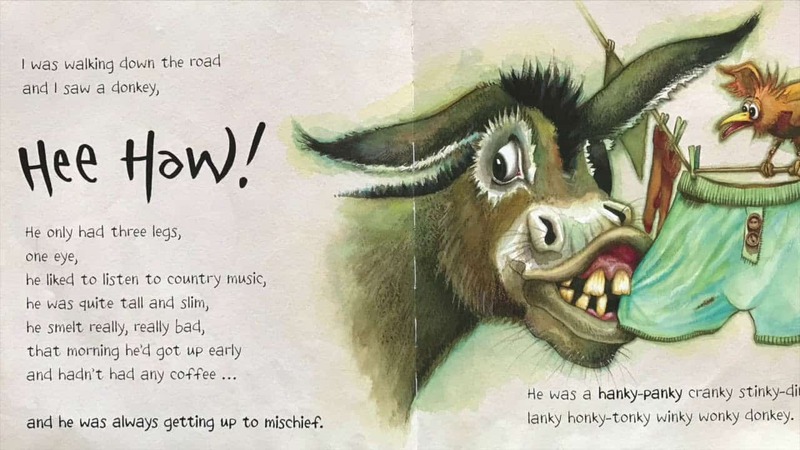 The book tells the tale of a three-legged ‘wonky donkey’ and each page adds more adjectives till your left with a “spunky, hanky-panky cranky stinky dinky lanky honky-tonky winky wonky donkey”. A video of Scottish grandma, Janice Clark, was filmed by her granddaughter. The footage shows Janice reading the book to her four-month-old grandson, Archer. But Janice seems to be much more amused by the book than Archer does. Throughout the book, Janice keeps falling into fits of laughter. Oh dear, how can anybody read this seriously? This is going to kill me. In the last week, the video has been watched over 3 million times! Craig Smith said that demand for the book has “gone through the roof” for the picture book thanks to this viral video of a very giddy granny reading and laughing. Now, Smith’s publisher is “rushing to print another 50,000 copies, with a view for more”. The Wonky Donkey is being reprinted in the UK but it has already sold out on Amazon in the US and the UK. The picture book, illustrated by Katz Cowley, has sold over 1 million copies around the world to date. The majority of sales come from Australia and New Zealand but now they are seeing a global readership. The video is gold. Watching Janice read and laugh was just delightful, and like many, her infectious laugh had me laughing too. I’ve always wondered why sales had not taken off so much in the UK and US, but that looks like that’s about to change. We couldn’t stop laughing at Janice’s reaction. It will certainly be a book to buy our friends with kids, that’s for sure!